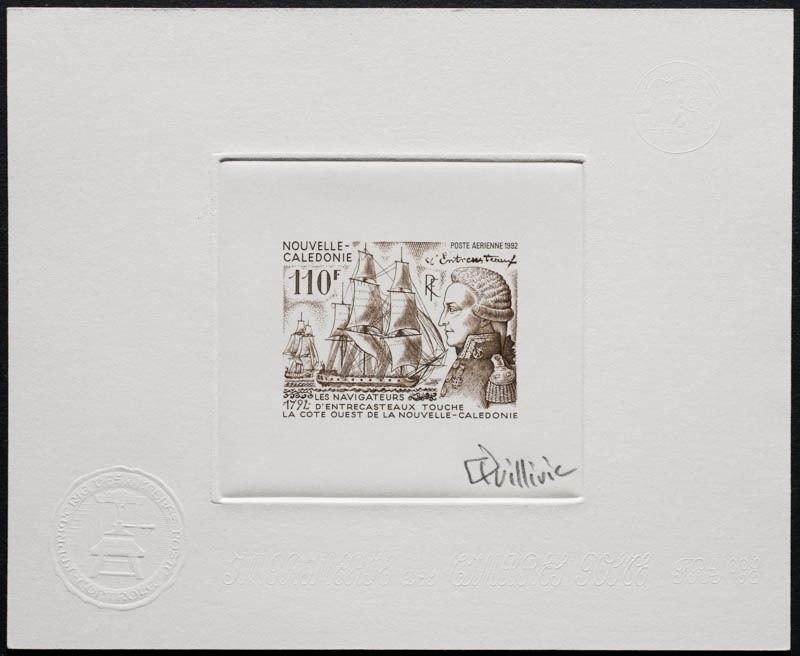 From 1970-1998, artist's proofs of approximately 215 engraved stamps from New Caledonia were produced. There were about 1,290 different-color proofs (215 x 6) and a total of 5,590 proofs (215 x 26). 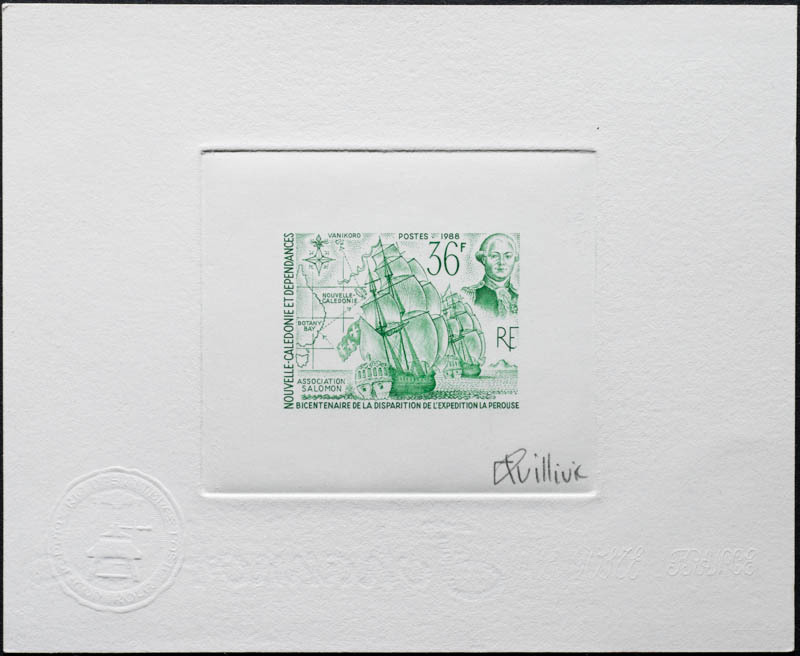 These pages show photos of artist's proofs of approximately 150 New Caledonia stamps in various colors - 323 artist's proofs in total. Pheulpin engraved 28 Polynesian stamps, Combet 20, Quillivic and Haley 15 each, and Lavergne 13. Béquet, Gandon, Durrens, Forget, Bétemps, Jumelet, Lacaque, Coatantiec, and Andréotto each engraved 5-10 New Caledonia stamps.